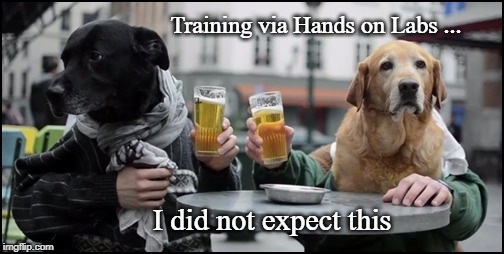 Sometimes, you need 'Hands On Labs' to get the job done ! 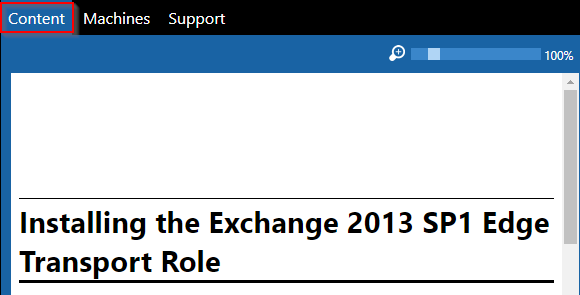 Welcome to the fourth of my new series of articles on free Microsoft training. In this series, we will be looking at the many different free options that are available for training, for IT Professionals, end-users, small businesses, and for presentations and sales. 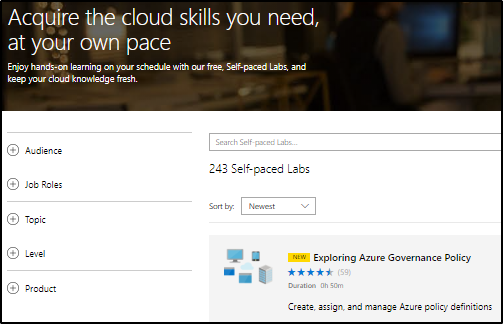 Microsoft provides nearly 250 self paced labs to help you get the skills you need to succeed in your IT career. Hands on labs are the perfect way to learn new skills when you don't have easy access to a lab environment for the scenarios you want. 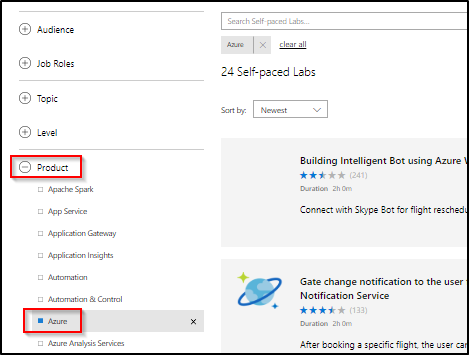 Once you have logged in with your Microsoft account (...@outlook.com - etc), you will be sent to the main Self Paced Labs page. As of the 14th of June 2018, there are 243 self paced labs, and a very large percentage are new. 2. Expanding the Product section and selecting your preferred product. Try both techniques as it is a lot of trial and error as you will get different results when searching for the same technology. You may also want to try filtering by Job Roles and the other items on the menu on the left, but I didn't find those filters worked as well. Method 1 - Searching for keywords - This is the best method ! 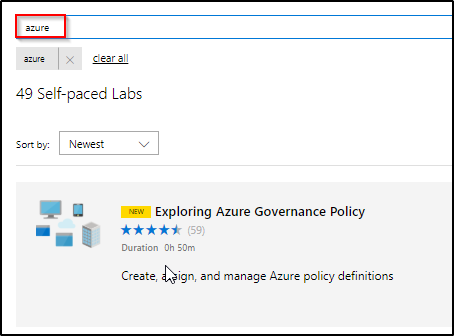 Simply search for your keyword in the search box to view the associated labs. Method 2 - Expanding the Product section and selecting your preferred product. Simply expand the 'Product' menu and scroll down to select the product you want hands on labs for. 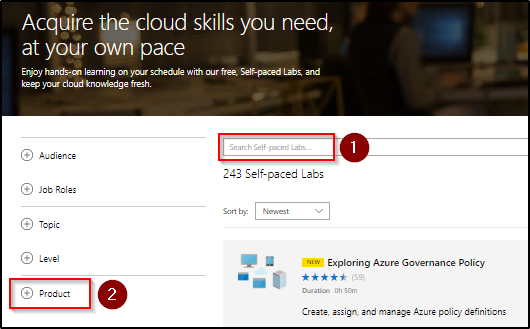 I have selected - Azure - in this instance and have found 24 self paced labs. You can even filter further by selecting multiple products. 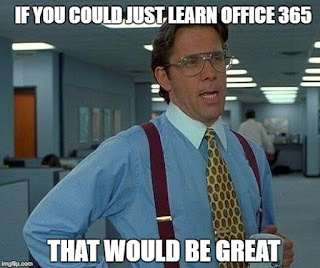 Selecting both 'Azure' and 'Office 365' increases the results to 29 self paced labs. It may take a while to navigate to find labs you want. For example, there is no option for Exchange in the Product section, but if you search for the keyword of 'Exchange', you will get four results. 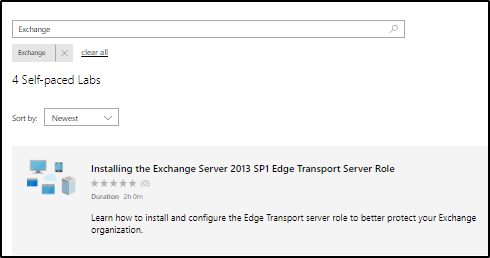 I have decided to enrol in the Exhange lab - Installing the Exchange Server 2013 SP1 Edge Transport Server Role. Simply select the button - View Details, and confirm you are not a robot. 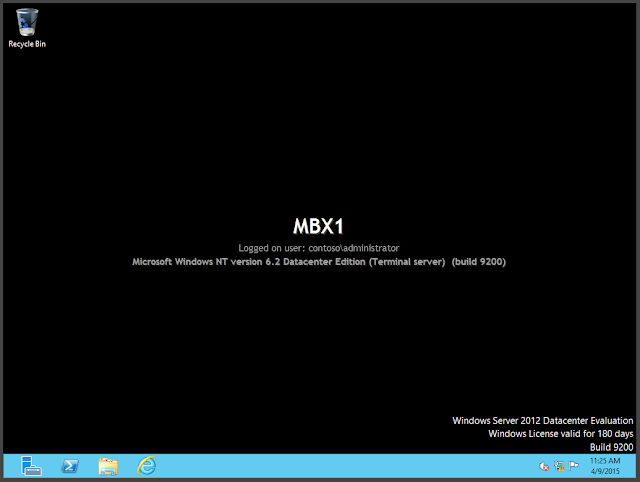 Then click - Launch this lab - and in a short time your lab will be ready. The courses are all browser based and in the example below, you can see that in this course you are presented with a server on the left and the course content on the right. Surprisingly, the server wasn't locked down too much. 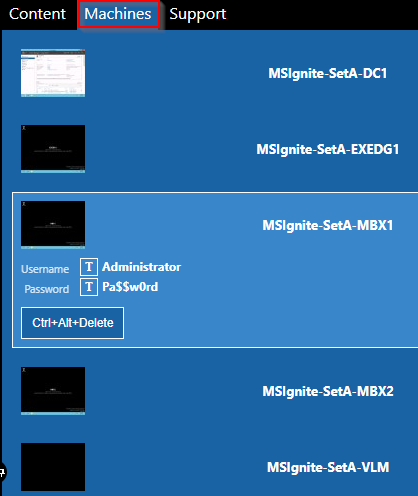 On the domain controller, I was able to update the NIC settings and save, but when I attempt to rename the DC, the option is removed (on a 'real' server you receive a warning if you attempt to rename a DC). Navigating the Hands on Lab. On the right hand side, you switch between the course content or select the server you want to work on by selecting the appropriate tab. Once on the Machines tab, you can select the server you need to work on. Scroll down through the content to continue through the course and perform all the learning tasks associated with the lab, switching to the Machines tab to access each server as needed. 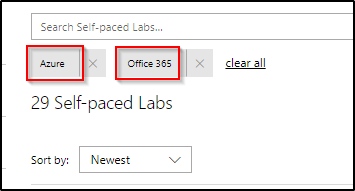 Note that some labs need an Office 365 E5 tenant to be created. You can create Office 365 trial tenancies for free, including E5 tenancies. The hands on labs are an awesome way to practise and increase your skillset as you get access to lab environments that would normally take hours or days to create. You also don't need the hardware to create the VMs (or the costs associate with that).